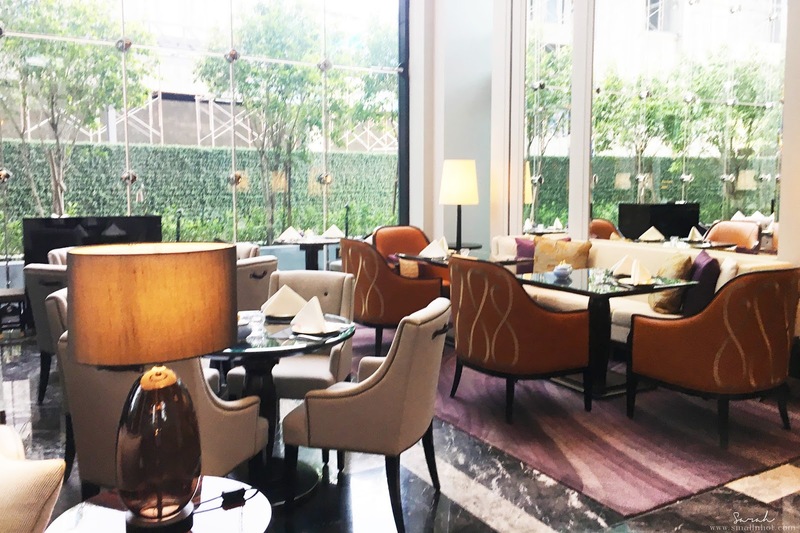 Week 2 : Located a stone throw away from KL Sentral station, The St Regis Kuala Lumpur is one of the most luxurious hotels in town. Beyond it's grand hotel exterior there is a lounge with high glass walls for natural light and fluffy cushions for comfort called The Drawing Room. 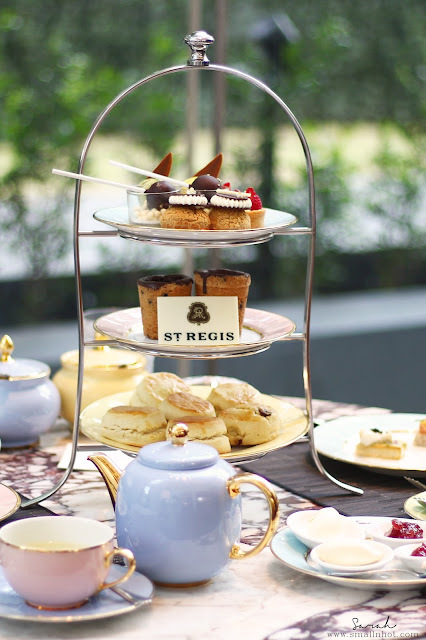 The St Regis KL afternoon tea itself is quite a classic with a touch of modern luxury. 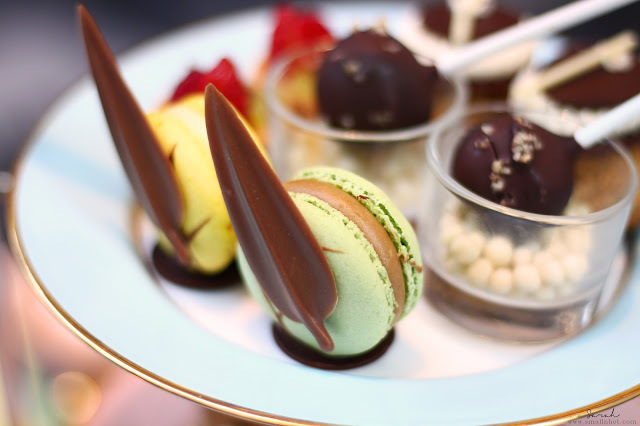 The tea selection for the afternoon tea set comes with 5 different and unique combinations of tea and petals, which includes the Silver Moon, 1837 Black Tea, Royal Darjelling, Sencha and Jasmine Queen Tea. We do like the unique combination of teas that they offer, but I would still prefer to have the tea staples like Earl Grey, Chamomile and English Breakfast included in the afternoon tea selection instead of an extra charge for the staples and other tea selections. But anyway, we opted for the Silver Moon which is green tea with a mix of berries and vanilla essence. The tea has a pleasurable fruity smell and balmy flavour. which goes very well with the desserts. 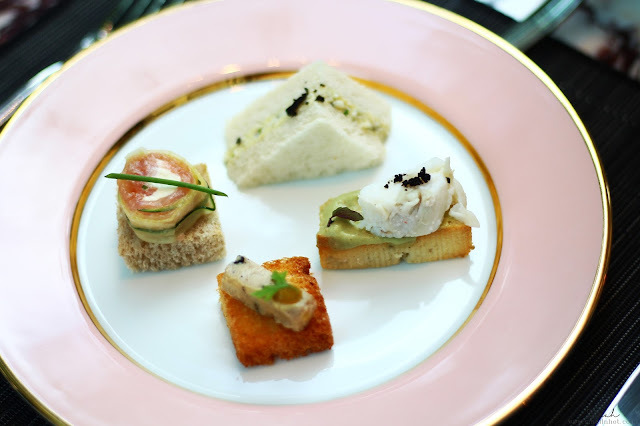 Before the arrival of the afternoon tiered trays, we were served with some dainty and lavish finger sandwiches. Their sandwiches definitely set the score high with all the luxurious ingredients in it. 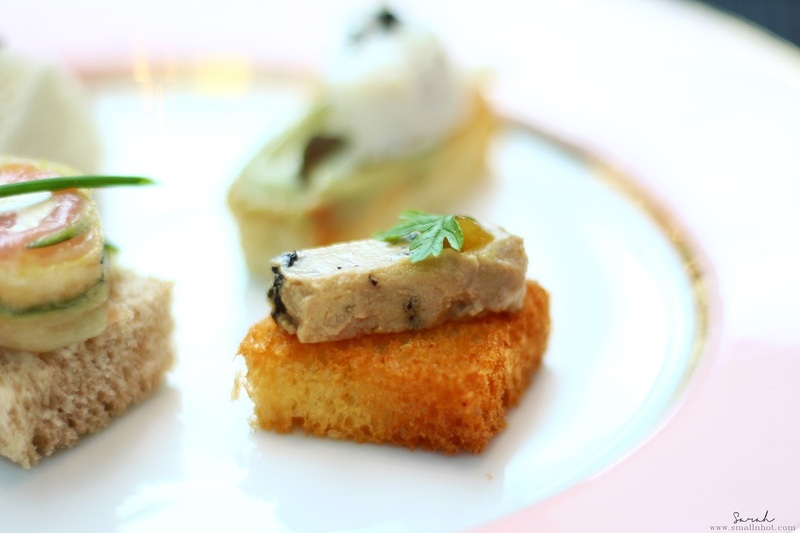 How often do you get Foie Gras and King Crab sandwiches in an afternoon tea set ? So needless to say, they tasted as inviting as they looked. 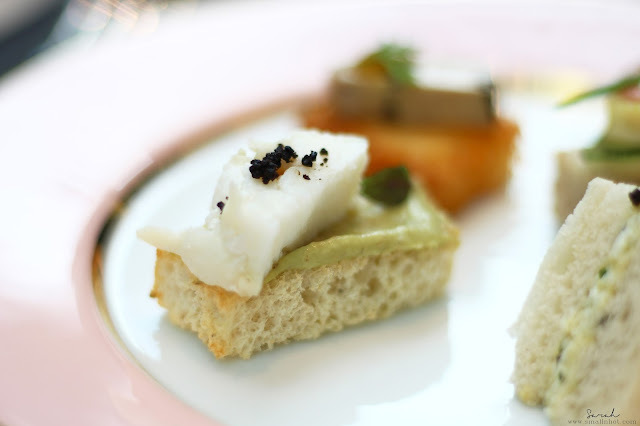 The black truffle and egg mayo sandwich complement each other so well, it literally gave the plain egg mayo sandwich a pop of flavour, making it much more flavourful and delicious as you bite into it, definitely something your taste-buds will not forget. Also did we mention that you can constantly replenish your sandwich selection. The waiters will make their way around the room with a full tray of the 4 sandwiches for you to choose from every few minutes. 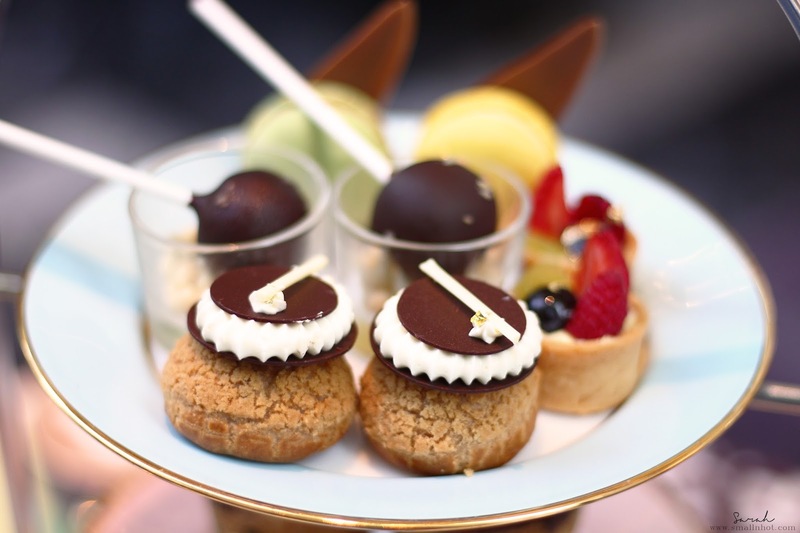 So no worries of not having enough of the savoury sandwiches but just be careful not to fill yourself up too quickly else you'll miss out all the fun in the afternoon tea set. And because the sandwiches are free-flow, the afternoon tea set is not shareable, each person will have to order a set for themselves. 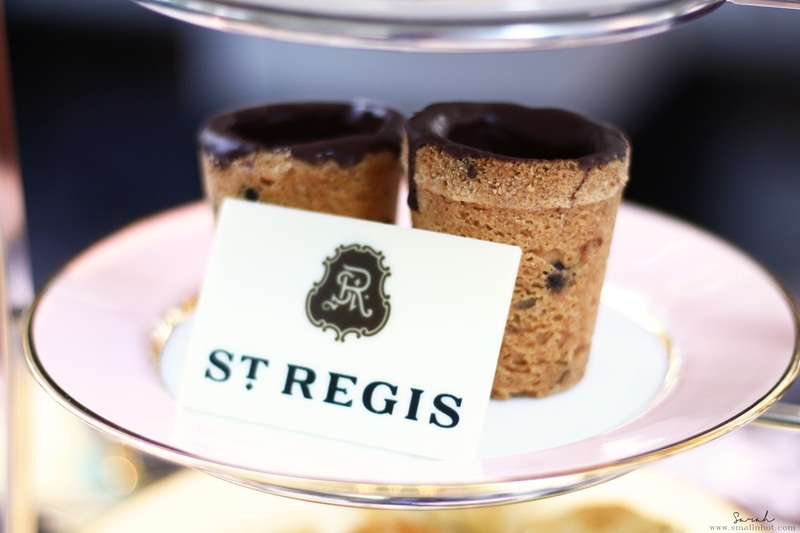 The top tier of the tray shows off all the best dessert offerings by St Regis KL and it was a hit, They were all magnificent and very intricately put together. The macarons were perhaps our least favourite if we had to choose one, but it was still quite good in terms of the flavour and the texture. As for the Raspberry Cake Pop and Hazelnut Choux, it was delectable too. The sweetness was very well-balanced for both, making it pleasant to our tastes and not overwhelming. Anyway our favourite was the Mix Fruit Tartellette. It was like a fruit tart that you have never tasted before. The cream simply elevates the zesty flavour from the berries, making it like an explosion of flavour in your mouth, simply faultless. 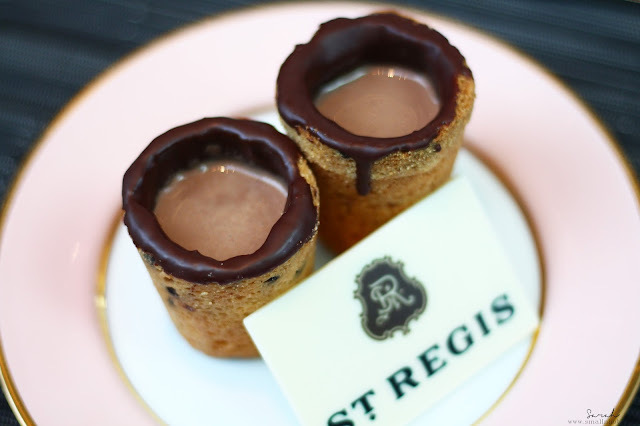 After the chocolate on chocolate incident from Mandarin Oriental KL, at first we were very skeptical with any chocolate dessert especially this chocolate shooter that comes with chocolate milk and chocolate coating. But to our surprise, it was incredibly delightful and not even a bit over the top. Related post : Afternoon Tea at Lounge on the Park, Mandarin Oriental KL. 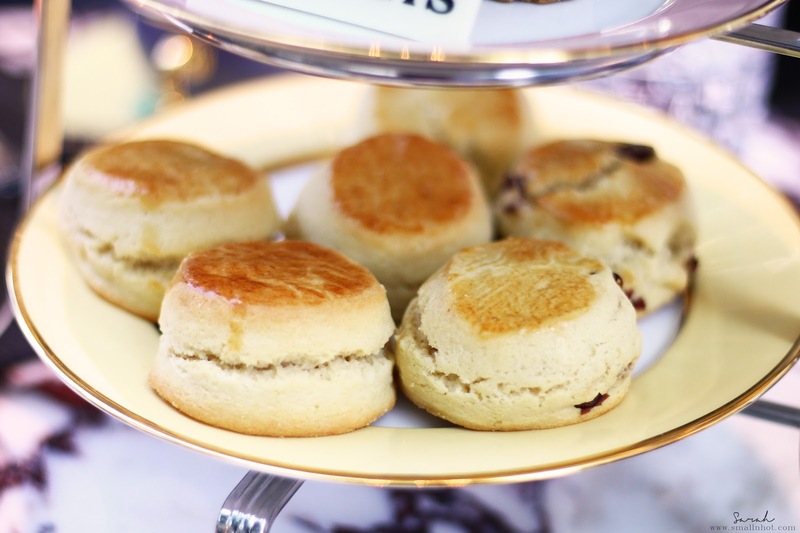 The scones here might not be the best we have tried but the clotted cream and strawberry jam is certainly the finest combo you'll find in KL. 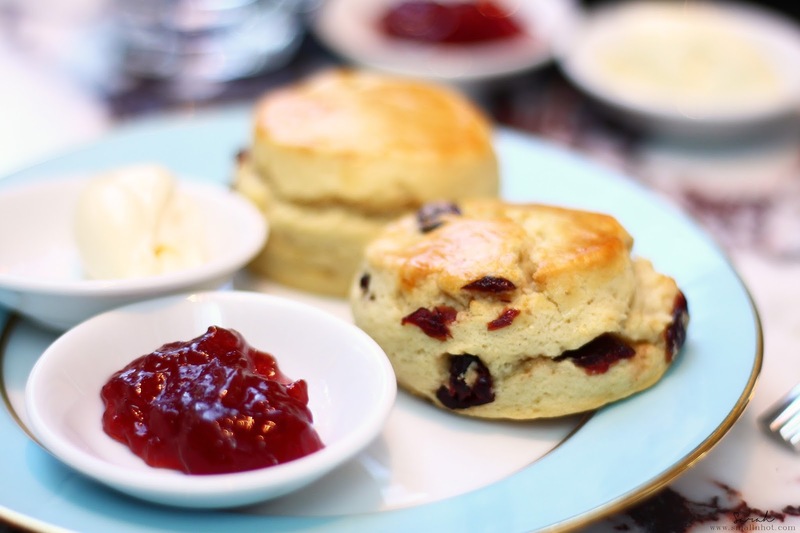 You can't have either of it by itself as it tastes rather bland but put a dollop of the clotted cream and strawberry jam together.. it becomes magic, the strawberry jam just elevates the sweetness from the clotted cream, giving you a just nice amount of sweetness and sourness, utterly delicious. Overall, we really liked the St Regis KL The Drawing Room Afternoon Tea experience. The spread was both well-presented and delicious, the volume and variety were simply impressive too, especially the free-flow of luxurious sandwiches. 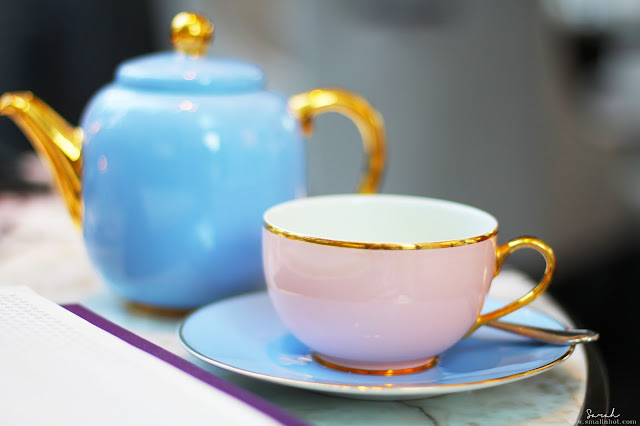 We certainly loved the pastel colors of the tea set which made the afternoon tea experience seem almost magical like a luxurious Mad Hatter Tea Party. 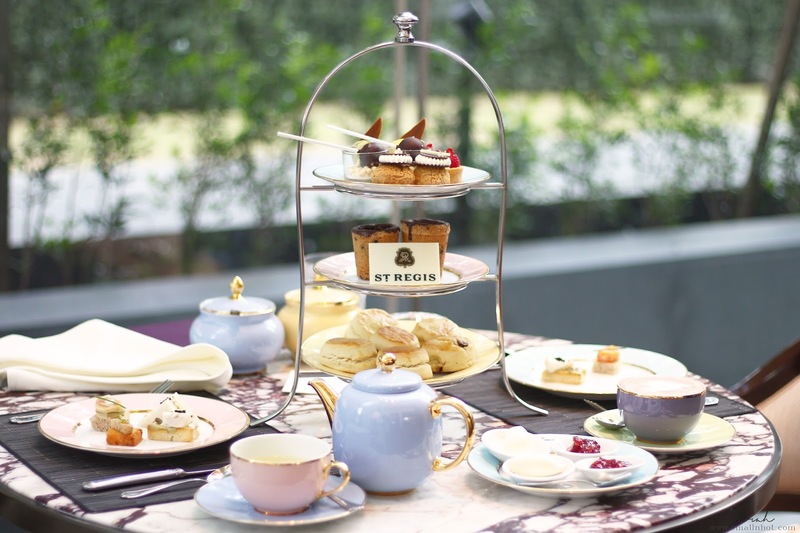 The Drawing Room at St Regis KL is undoubtedly a fine place to have afternoon tea because beyond the fine and dainty sandwiches and dessert, the service was simply top-notch too, from the way the waiter served the afternoon tea set to the way they spoke to you, very warm and attentive. At the price of RM 140 per pax,.. It's worth every single penny.